Spring entertaining opens many options when planning party menus for lovely occasions. Let a selection of classic Southern fare lead the way but mingle a few fine pastries into the mix. A recipe of Buttermilk Puff Pastry may be prepared then used to create sweet & savory canapés from Miniature Napoleons & Miniature Palmiers to Vol-au-Vent pastry shells that may be filled with Pecan Chicken Salad. 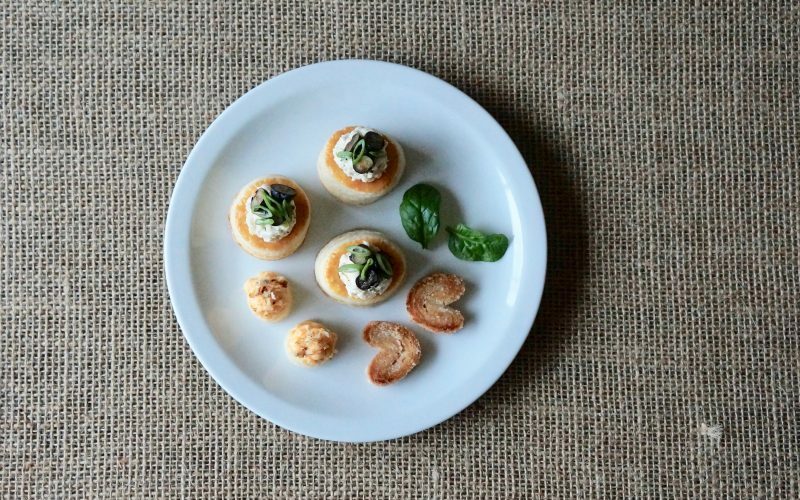 The cut out rounds from them may be served as crostini or stacked to make Puff Pastry-Pimiento Cheese Canapés, too. With a bit of seasonal fresh fruit, herbs & toasted pecans, you’ll be well on your way to offering a beautiful collection of modern icons in a fresh new way. I’ll be sharing pointers on how to prepare & style The New Spring Entertaining Party Plate Collection this morning on WBRC Good Day Alabama. 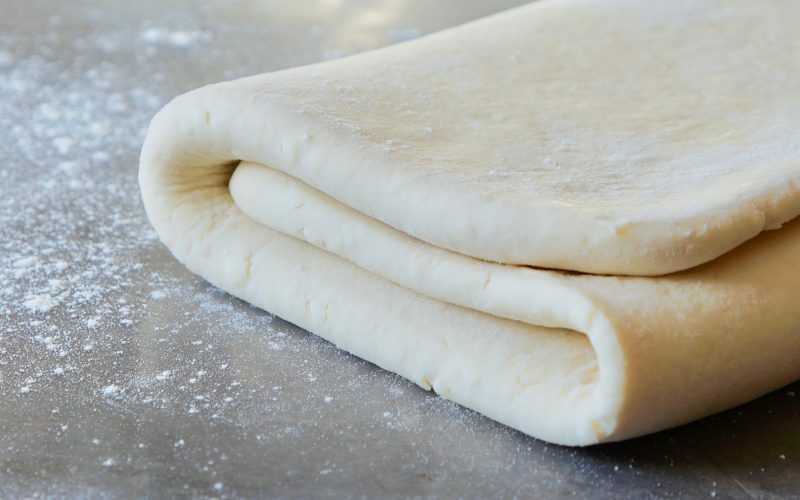 I’ll cover the basic fundamentals on how to utilize the fold-&-roll technique of incorporating butter throughout the layers of a batch of Buttermilk Puff Pastry that will provide incredible lift during the baking procedure. 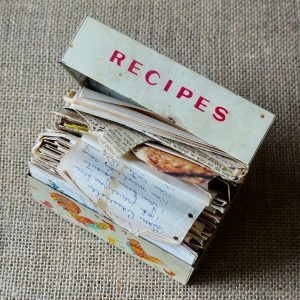 Once prepared, I’ll walk you through the simple method on how to create Vol-au-Vents, little pastry shells that may be fashioned from the dough. I’ll also share a few additional lovely items as well. Be sure & join me for advice on how to elevate your next southern social & look to The 2019 Essential Spring Entertaining Party Primer for additional expert advice. Traditional southern party fare offers a familiarity when entertaining friends but the items may be presented to guests in a fresh, new way. 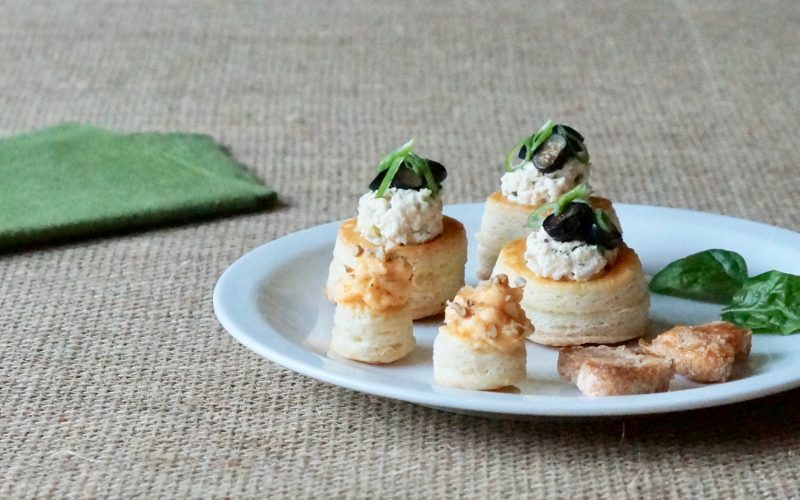 Vol-au-Vent shells may be baked ahead & filled with Pecan Chicken Salad just before guests arrive while Puff Pastry-Pimiento Cheese Canapés may be piped in advance with Party Pimiento Cheese & left in the refrigerator to chill a bit. Stack & arrange them on a pretty platter just before guests arrive. Miniature Palmiers make a wonderful sweet nibble & the good news is that everything is crafted from the same recipe of puff pastry dough. Accompany the collection with a round of French 75 cocktails to really liven things up. Keep the table simple with a stack of white plates, polished heirloom silver & freshly pressed linens for a simple yet beautiful presentation. Once a recipe of Buttermilk Puff Pastry has been prepared, the possibilities for curating a lovely selection of party fare is endless. Learn the technique. Whisk together the all purpose flour, the cake flour & the salt in a large bowl. Make a well in the center of the mixture & pour the water & the buttermilk into it. Use a rubber spatula to blend the mixture, swiping the bowl sides as necessary until combined. Form the dough into a disc. Cover with plastic wrap & chill 20 minutes. Meanwhile, run the frozen butter down the large holes of a box grater. Place it onto a piece of plastic wrap. Using the wrap, form it into a 5 1/2 x 7 1/2-inch rectangle. Chill the butter. Remove the dough from the refrigerator & place it on a well floured surface. Roll the dough into a 10 x 15-inch rectangle. Remove the butter from the refrigerator & place it in the center third portion of the dough leaving a 1 1/2-inch border at the top & the bottom. Fold the dough into thirds, then make a 1/4 turn counterclockwise. The last fold should be closest to you. Repeat the process two additional times. The dough will have a total of 3 turns. Cover the dough surface with plastic. Chill 30 minutes. Remove the dough from the refrigerator & place it on a well floured surface. Roll the dough into a 10 x 15-inch rectangle. Fold the dough into thirds, then make a 1/4 turn counterclockwise. The last fold should be closest to you. Repeat the process two additional times. The dough will have a total of 6 turns at this point. Wrap the dough with plastic. Chill 8 hours or overnight.